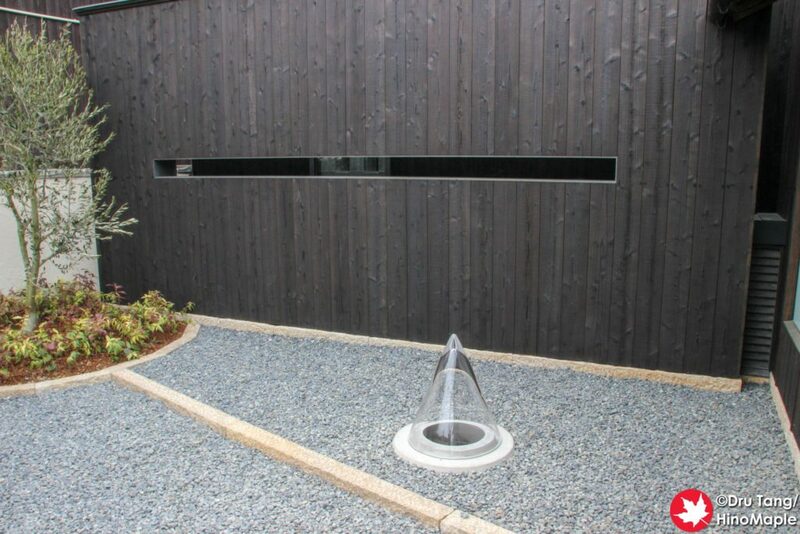 The Ando Museum is a really cool personal museum that highlights Tadao Ando’s accomplishments. The museum is housed inside an old building that has been completely gutted and rebuilt from the inside. The exterior still has the original look of the original building that is the basis of this architectural delight, but once you enter you are in complete Ando territory. If you don’t know who Tadao Ando is, he is one of the most famous architects from Japan. He often has a brutalist look to his works as his signature is the use of concrete in various forms. My only complaint about Tadao Ando’s work is that it is always concrete, which can tend to feel a bit cold. 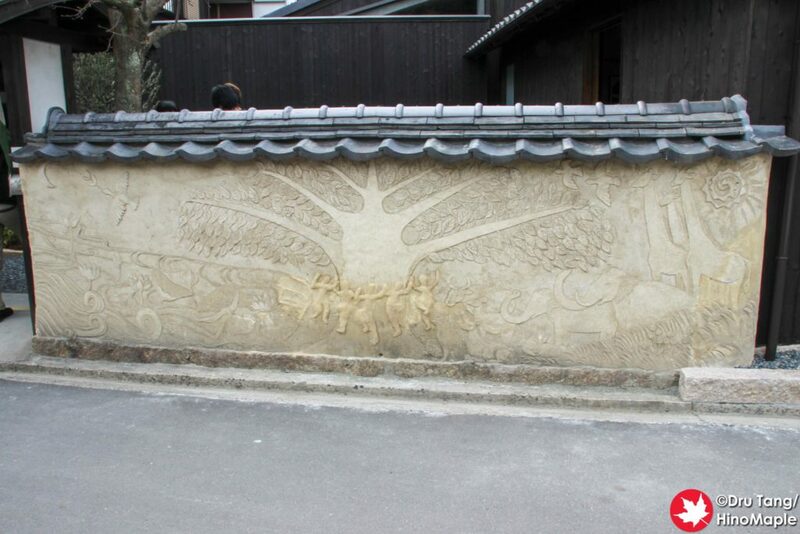 I am still amazed by his works and how he can somehow create these beautiful forms from concrete. I remember visiting the site of the Ando Museum in 2010, but it was just getting started with construction and I had no idea what it would become. 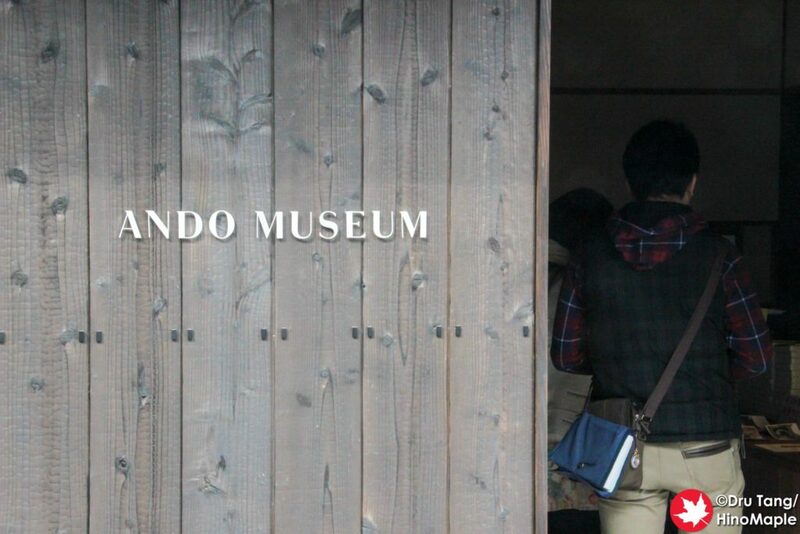 Fast forward 4 years to the 2013 Setouchi Triennale and I would discover that it was the Ando Museum. As I said, they retained the entire exterior of the old house and a small garden at the entrance was beautiful to see. Once you enter the building you are engulfed with concrete with a few accents, specifically the roof, that are still wood. It definitely felt more spacious due to the high ceiling, but depending on how many people are in the museum, it can feel a bit cramped. 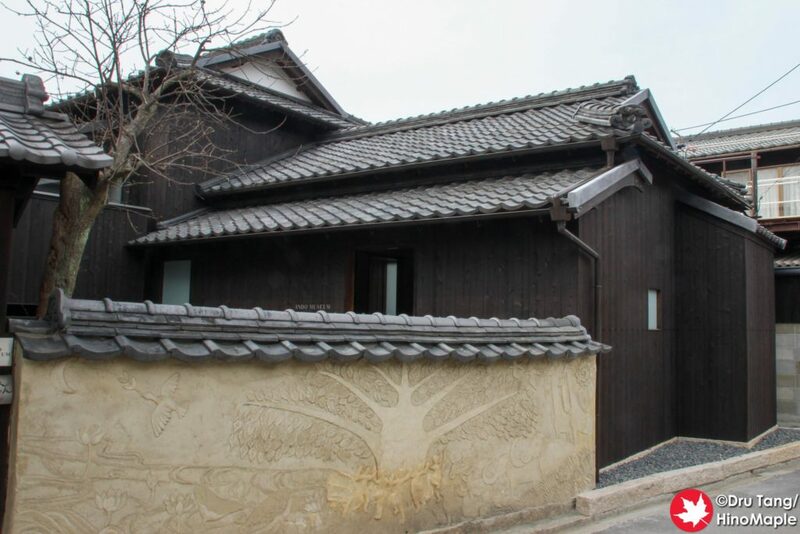 Some of Ando’s architectural works are pictured in the museum as well as a few diagrams and timeline photos about the Chichu Art Museum’s construction. I wasn’t too impressed by the main room and it was a bit small overall, but I do want to revisit this museum to make sure I am not forgetting something. As of writing this, it has been almost 6 years since I had visited and my memory is a bit hazy. My favourite part of the museum was the underground room. If you want to be amazed, I suggest not continuing from here and to skip this paragraph. You descend down a spiral staircase and when you reach the bottom you are in a room that can only fit 4 people at a time. The lines to get in can get long, especially if you are waiting for people to finish. My friend and I took a while and while there was no line to get in, when we left there was a long line. While the small cavern is nothing special, when you look up you are hit by a small skylight at the top. 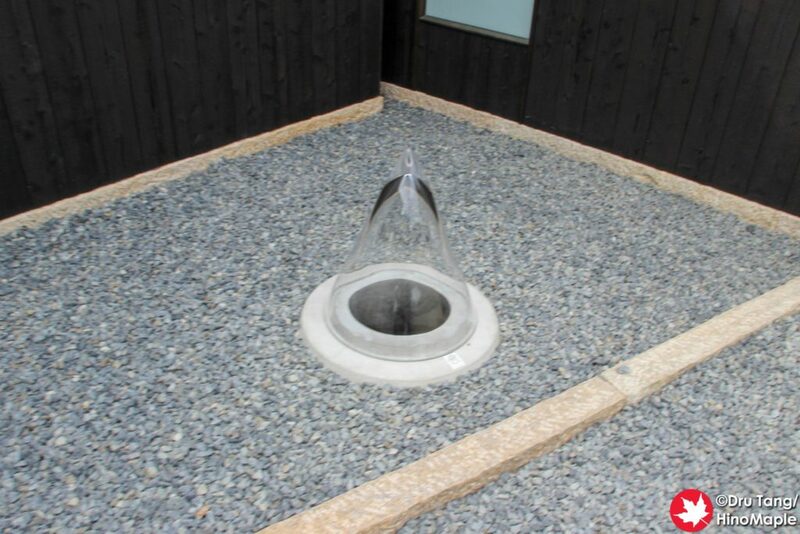 I really enjoyed this part of the installation but I was even more surprised when I realized that the small skylight was actually in the garden at the entrance of the museum. 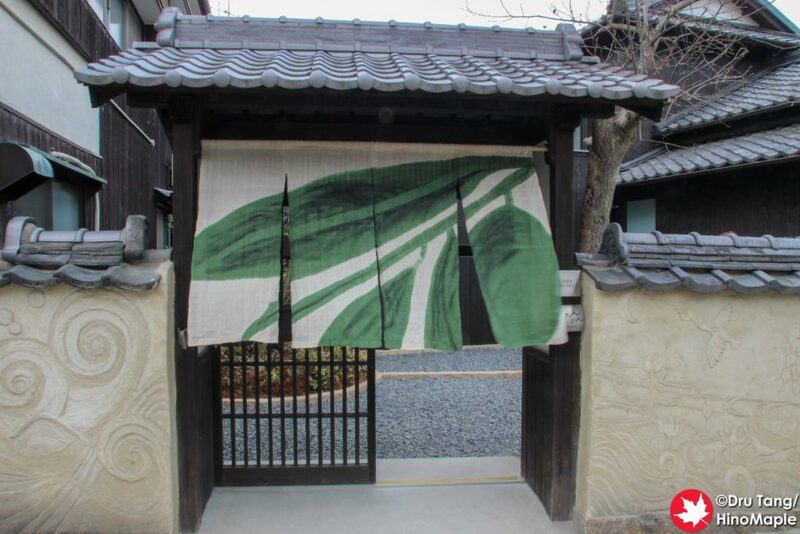 The Ando Museum is a must visit for anyone who likes architecture. I have a love-hate relationship with Tadao Ando’s works. I really love them but at the same time they are not warm. I would still recommend anyone who has an interest in the Chichu Art Museum or any of the other museums and buildings that Tadao Ando has built to visit as you will get another look at his style and how he tries to blend into the surroundings, even if concrete doesn’t blend well with traditional buildings. This entry was posted in Setouchi Triennale and tagged Ando Museum, Naoshima, Setouchi Triennale, Tadao Ando by Dru. Bookmark the permalink.